A musical program in movement! We create interactive musical experiences for young children -0 to 7. 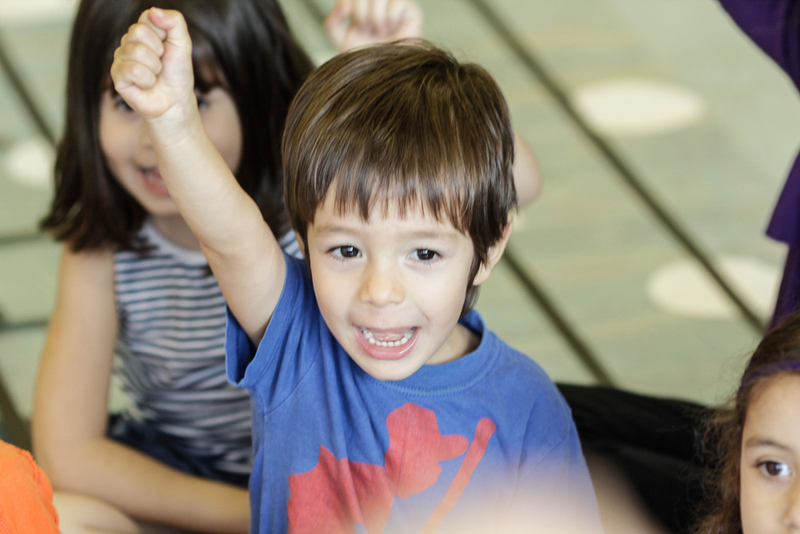 We provide a natural and organic approach to learning music through movement. 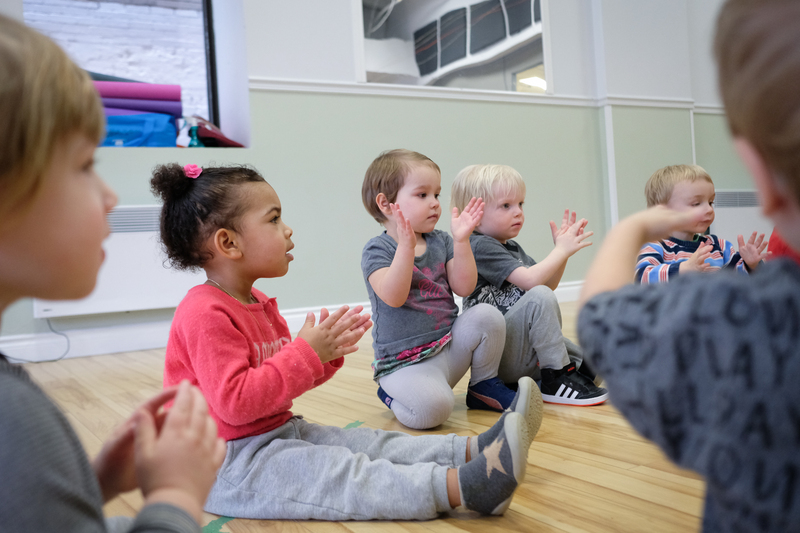 Our main goal is to teach the children to follow the beat with their bodies while synchronizing it with words and sounds. 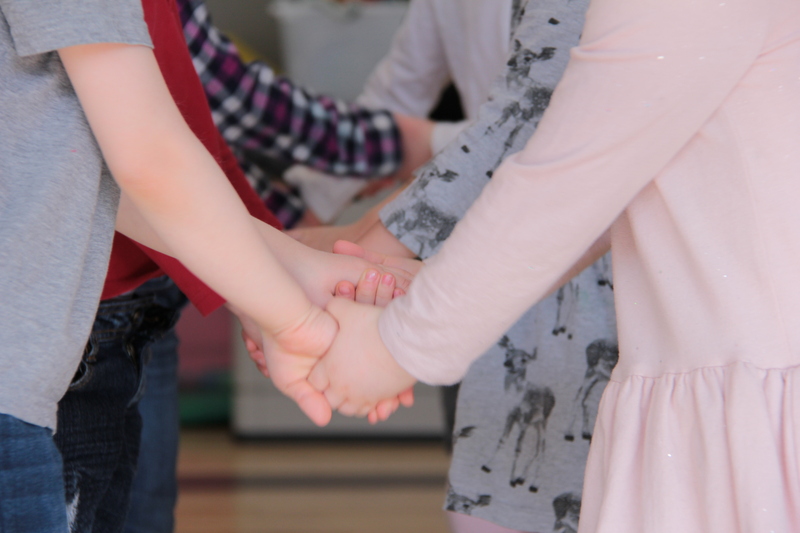 The musical program we offer is presented in the form of a small performance in which each child actively participates and plays an important role in in his/her learning process. Here we encourage pairs to interact in this collective experience to explore together through the common use of time and space. Our programs are thoughfully created to be implemented in CPEs and Daycares. In fact, our activities integrate perfectly with the educational program for Childcare Services, and provide an added value for the overall development of the young ones. Our music has contemporary and diverse rhythms and at the same time, an elementary structure. The main goal of our songs is to be easily understood and assimilated by the children. Furthermore, it invites the children to dance and move easily. 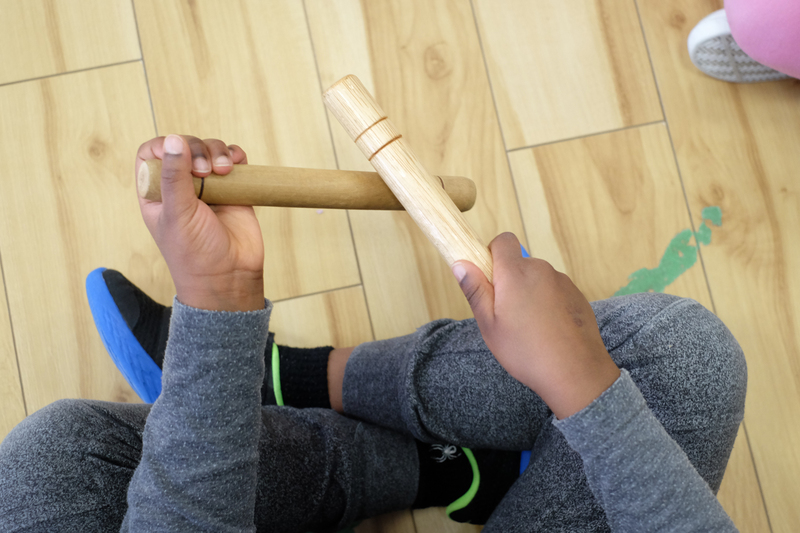 We work with little percussion instruments and pedagogical elements that will foster their dexterity, coordination and imagination. The sooner music is incorporated into children’s learning, the better! The first years of life are a particularly important period of development of the brain. 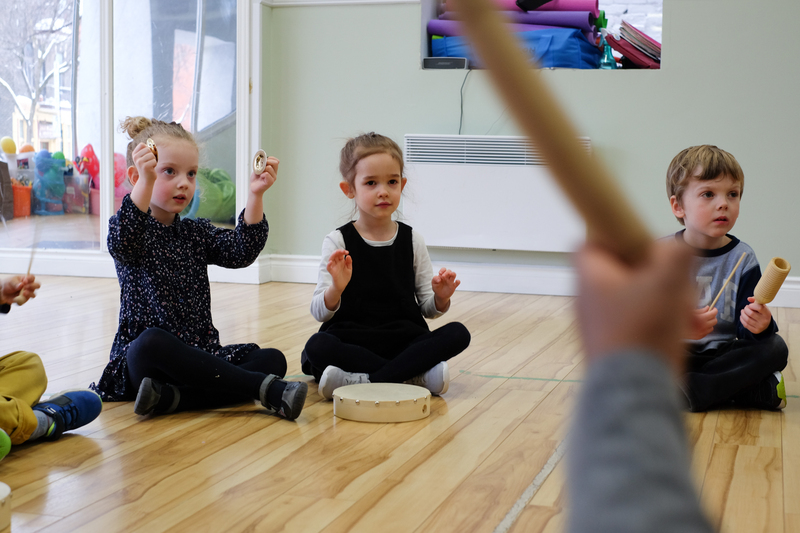 In fact, when children learn how to discover their own rhythm and how to synchronize it with musical rhythms, that will improve their confidence, their overall development and their ability to succeed at school. Learning music as a full body experience helps the brain to integrate the information better. What we learn with the body, we will keep it forever! We integrate Braingym exercises with some music and a story that help stimulate children to concentrate and relax. This provides a valuable contribution to their learning experience. 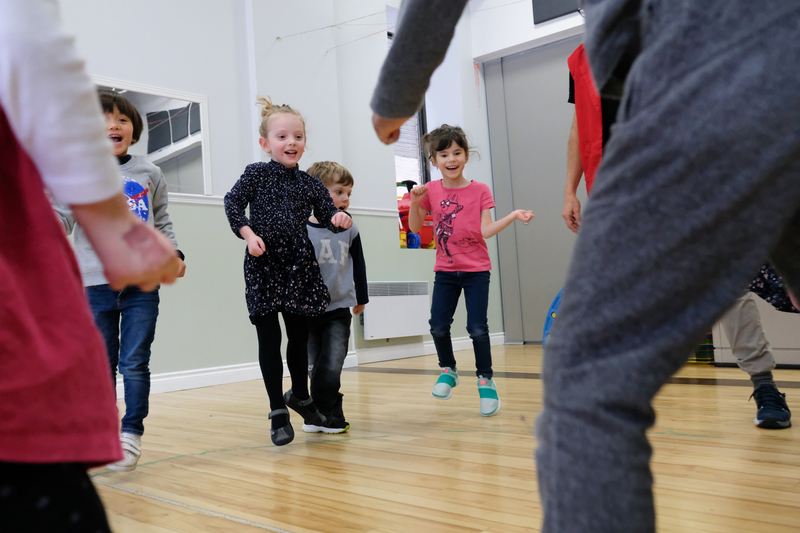 The PACE (Positivity, Activity, Concentration, Energy) exercises, are a segment of the BrainGym movements, and it is introduced at the beginning of each course to help get the children ready for this musical experience. Our goal is to make a positive impact on children's quality of life and society through music education. 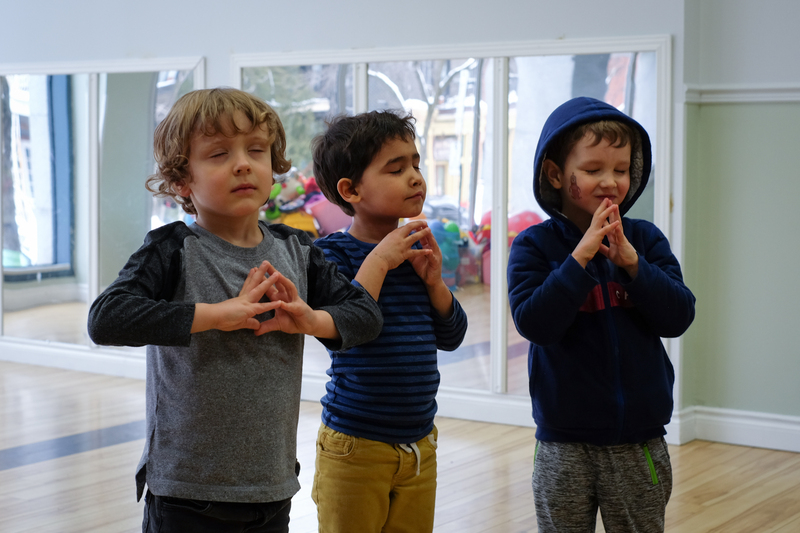 We provide a variety of programs using pedagogical and artistic materials as well as props that teach children about music and the many joys it offers.